What actually is social media engagement and why is it important? It’s a familiar story. Many businesses dabble in social media. And as a result, do not see the benefits. 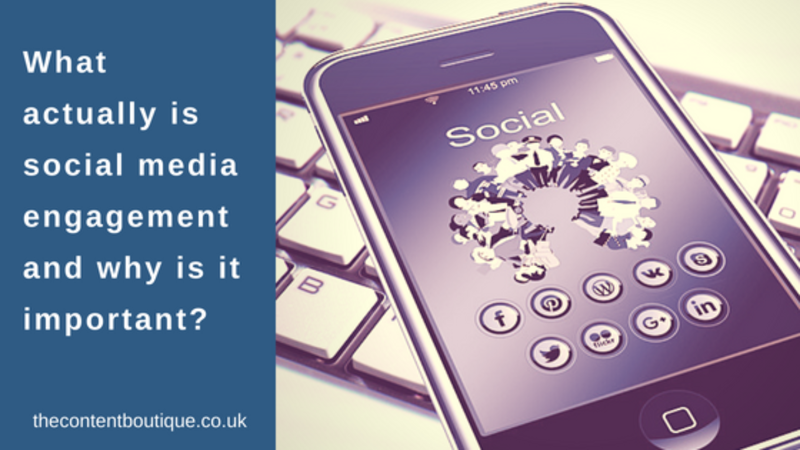 So what is social media engagement and how can it benefit your business? Social media is a collective term for online networks where you can share information, ideas and resources. What is social media not? Social media is not to be confused with old-school advertising and direct mail. Therefore it is not a place to bombard people with updates about your products and services. Consequently, it’s not a tool for generating instant leads. How do businesses use social media for marketing? How do businesses use social media to engage audiences? When you attend face-to-face networking events, you aim to meet people and build meaningful relationships. To do this, you start conversations. It’s the same on social media. To start conversations, share useful, relevant and helpful information, ideas and resources. Of course, a conversation is a two-way thing. To get conversations flowing engage with your community’s content. To engage with content on social media you like, comment on and share your community’s posts. Why is it important to engage on social media? Today more and more people get their news and information from social media networks because they’re immediate and accessible. As a result, your audience is spending more of their time interacting online. With this in mind, if you know your audience is hanging out on a particular network, it makes sense to connect with them on their chosen platforms. How can your business achieve success with social media? First off, choose your social network wisely. Find out where your customers are and then get comfortable posting there. You don’t need to be on every social network. Then make sure your social profiles reflect your branding and tone of voice. Respond to your notifications (reactions to your posts) and your audience’s posts. The point is this. Conversations help people understand one and another. With understanding comes trust and the basis for long-term relationships. So take the next step and as Twitter says, join in the conversation. If you would like help writing content for social media, then drop me a line to get information about pricing.